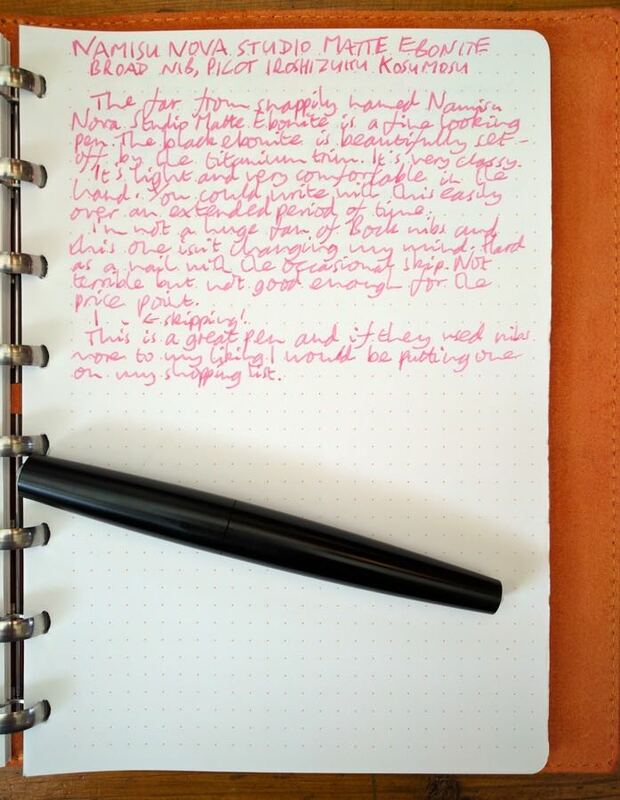 Namisu Nova Studio Matte Ebonite Fountain Pen Review – Pens! Paper! Pencils! 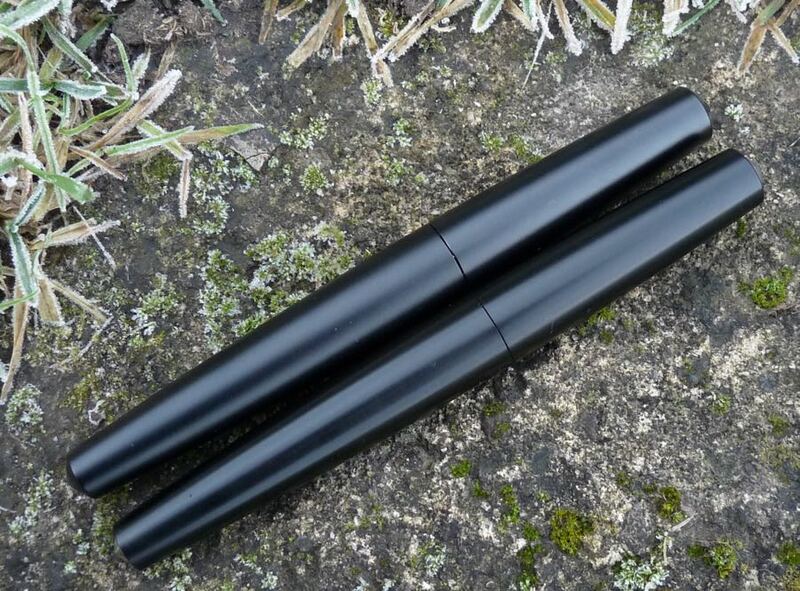 Namisu’s Nova Studio Matte Ebonite is the upmarket version of their very excellent Nova Aluminium. It’s the same size and shape but made, unsurprisingly, from ebonite and titanium rather than aluminium. Namisu loaned this pen to United Inkdom for review purposes and this review will form part of a meta-review once it’s done the rounds. These are my own opinions. The shape of the Nova Studio Matte Ebonite is the same as the original Nova. This is a very good thing. It’s a simple classic cigar shape that looks gorgeous and is comfortable to hold. The cap screws open and closed with one full turn. Namisu say it doesn’t post but it does, quite deeply and securely. I would suggest, though, that if Namisu say it doesn’t then you won’t have any come-back if the barrel ends up being damaged from doing so. There’s no clip and no option for one. The original Nova loves to roll about on desks and slide out of pen cases. This version still enjoys that kind of behaviour but, perhaps because it’s a little lighter, it doesn’t do it quite so much. However, be careful when putting it down anywhere. The Ebonite (for short) (Namisu didn’t apply the same simplicity of design to their naming) is a light pen and feels quite delicate. Maybe fine would be a better word: it’s a bit ike your grandmother’s best china, feeling delicate but strong at the same time. In the hand, the ebonite material feels warm to the touch. The barrel is light and comfortable. The section is nice and long, keeping the threads, which are chunky and comfortable anyway, well out of the way. The Ebonite uses standard international cartridges and converters, which is always a good thing. 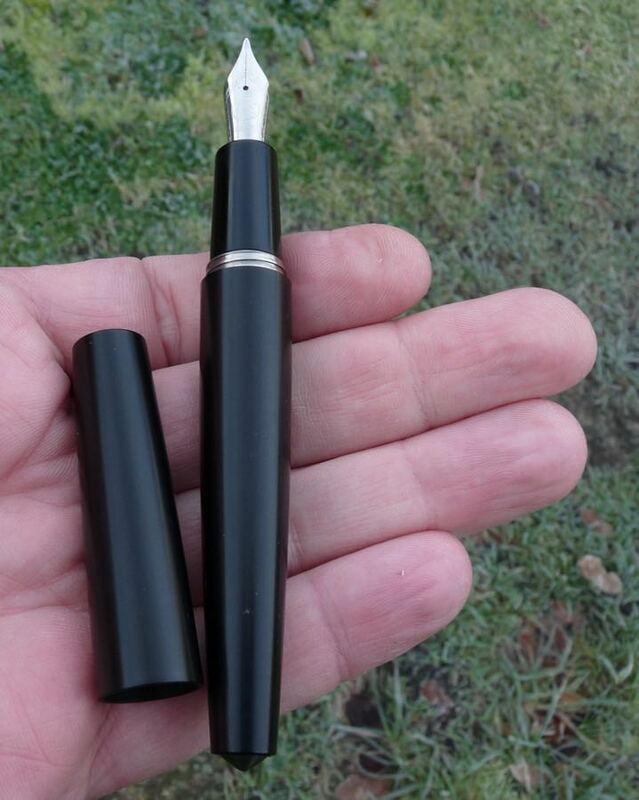 Although Namisu provide a converter with the pen, they didn’t include one with this review sample and so the converter pictured is one of my own. Namisu use #6 Bock nibs. Diplomat use Bock nibs and they’re fantastic. However, their stock nibs, as used by most other firms, including Namisu, aren’t so great. The extra-fine and medium nibs tend to be okay but the broad ones are variable. The broad nib in this pen has reasonably good flow, mostly (but not always) but is as hard as a nail. 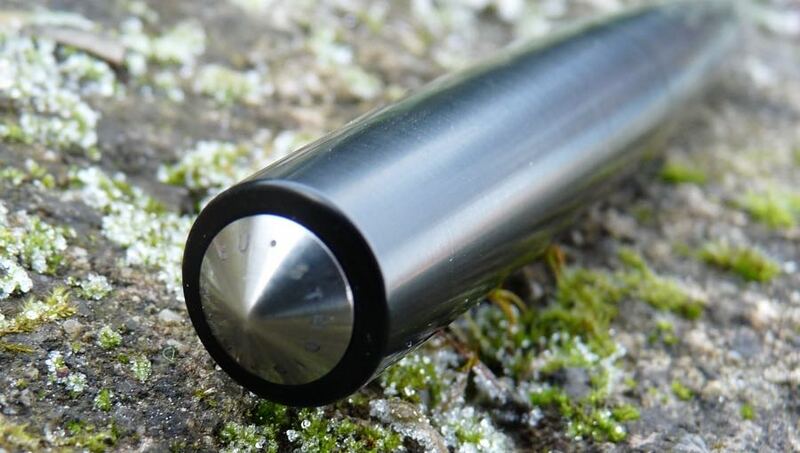 Namisu also provide a titanium nib option. Titanium nibs are interesting but very inconsistent. 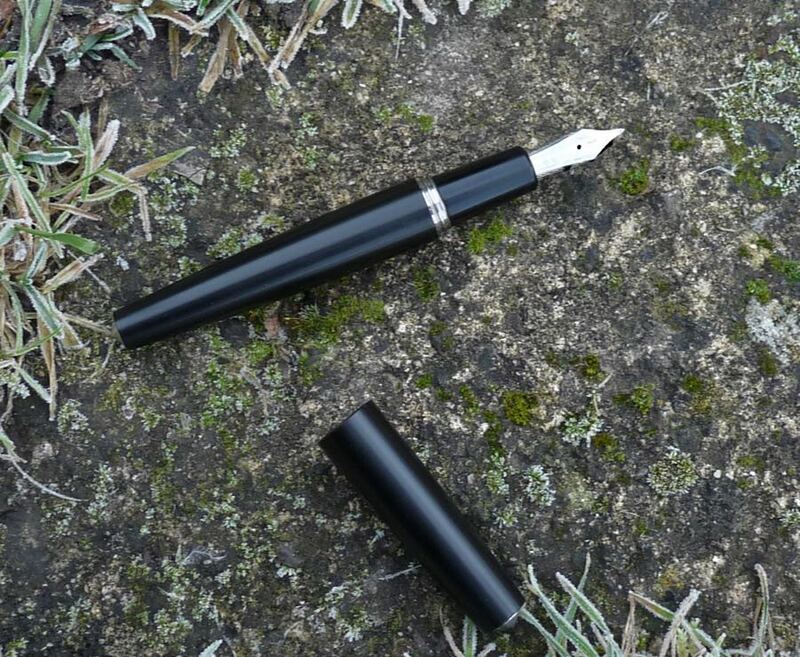 I’ve now tried three: one I had to send back because it was awful; that was replaced by one which is pretty good and a lot of fun (springy and slightly wild); and one that came with this pen as an alternative option, which is fun while it lasts but stops every sentence or two. 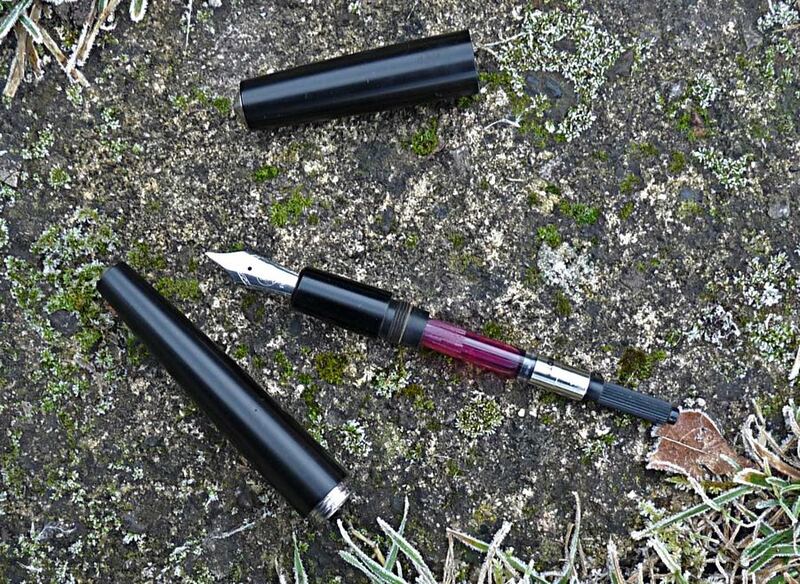 The Namisu Nova Studio Matte Ebonite is a beautiful looking pen made from top-notch materials. At this price point, you’re able to get good pens with gold nibs. 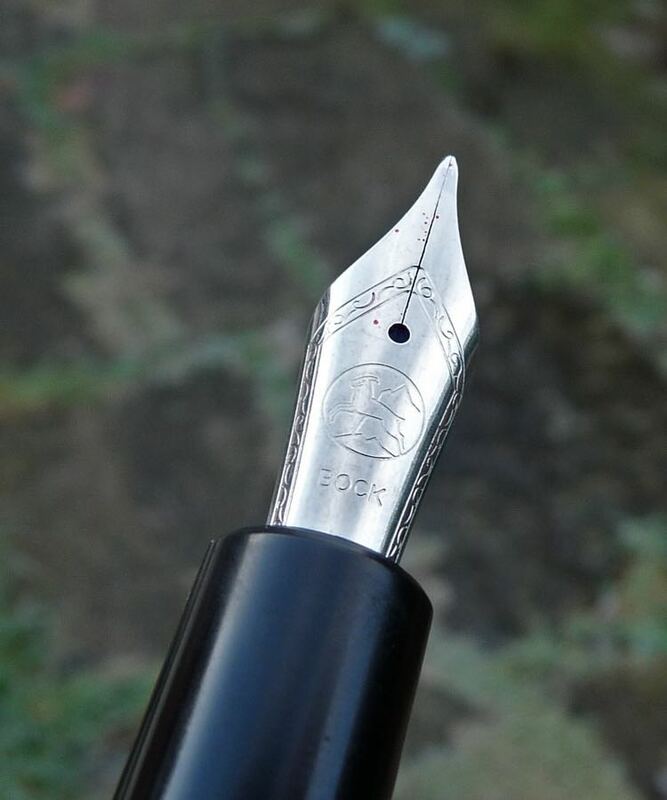 Personally, I don’t have a problem with paying this much money for a pen with a steel nib but if I do it’s going to have to be a fantastic steel nib. These nibs aren’t fantastic and aren’t good enough for a pen this expensive. I’m so annoyed I missed my chance to buy one of these! Great review, thanks.